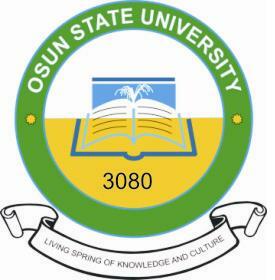 The UTME supplementary and Direct Entry lists of Osun State University (UNIOSUN) 2017/2018 Admission exercise into various degree programmes have been released. Prospective candidates who participated in the Admission screening exercise can check their admission status via the Undergraduate Admissions portal. -Click on the "Sign In" Button and proceed to confirm your admision status. NOTE: All admitted candidates are hereby directed to pay the sum of forty thousand naira (N40, 000.00) only as Acceptance Fees for the Provisional Admission offered. Payment of the Acceptance Fees is by the UNIOSUN WebPAY platform through the use of Interswitch enabled Debit/ATM cards (Verve, Visa and Master cards). The deadline for the payment of Acceptance Fees is January 15, 2018. Any candidate who fails to complete the Acceptance and other necessary registration on the portal on or before the deadline will FORFEIT the Provisional Admission offered. 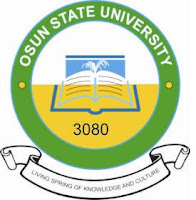 Please visit the Undergraduates Admission portal at http://admissions.uniosun.edu.ng for more information and guidelines.